Have you ever seen a t-shirt -or any piece of clothing, for that matter- you actually like, yet thought “there’s no way in hell I’ll be able to pull that out, like, ever”? Well, dear reader and fellow self- conscious individual, you are not alone. This is how I felt about many pieces of clothing for a solid five years (puberty can be rough, okay?!) until I finally decided it was time to stop. But just about every other thing in life, being self-confident is easier said than done. 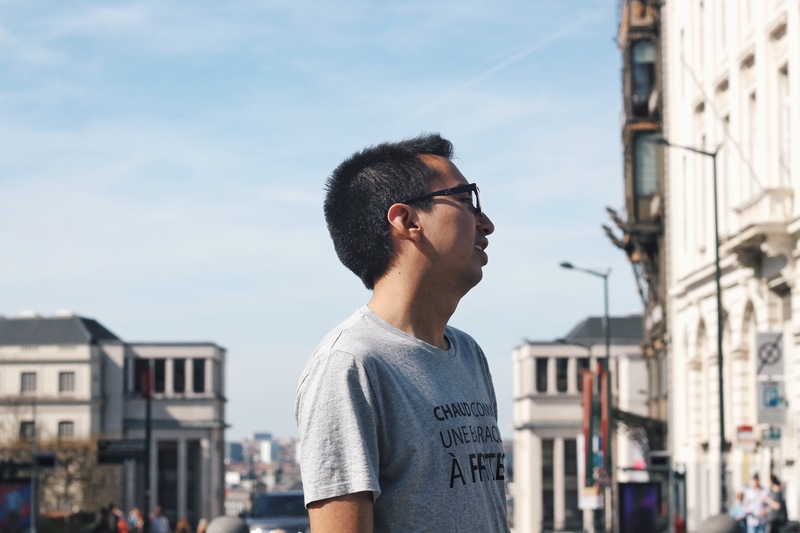 This is why a whole year went by before I got my ‘Chaud comme une baraque à frites’ tee. ‘Chaud comme une baraque à frites’ is French for ‘hot as a fries shop’ (that’s what my friend and native speaker of croissant Thomas said). See, and owning a t-shirt that says you’re as hot as a fry shop might put some pressure on you. While most of you still need to discover Belgian fries and ‘frituurs’ (Dutch for fry shop), I can assure you, they’re as hot as it gets -literally and figuratively. Plus, owning a t-shirt with the words ‘Hot as’ written on it made the older downgrade version of myself feel awkward and almost unworthy of owning it, simply because the words ‘hot as’ state the fact that the person who’s wearing the t-shirt is hot -or at least, thinks they are. Ahh, self-confidence; what a beautiful, yet foreign concept. 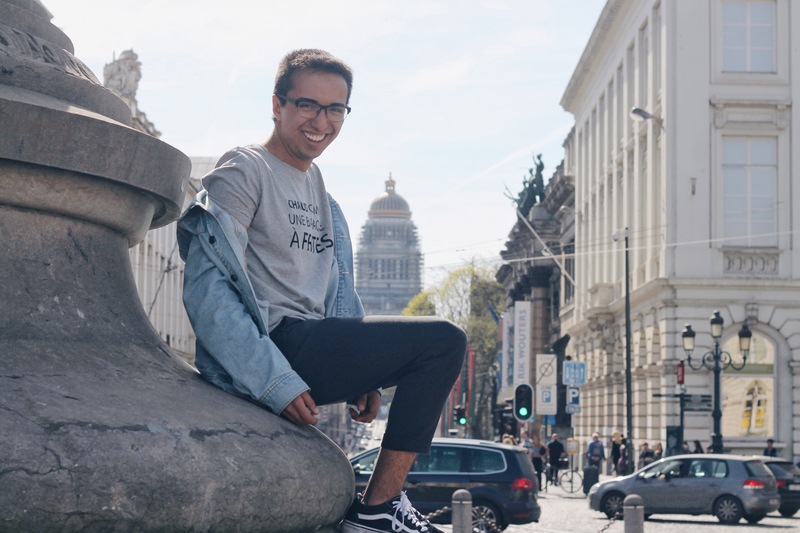 A year later, and after a long process of growing and learning to love myself and feel comfortable in my own sun-kissed skin, I feel worthy and confident enough to own this t-shirt. So far for the self-confidence part. We’ll come back to this in a second. ‘Belgitude’, on the other hand, is what makes ‘Belge une fois” creations so fresh and funny. Belgitude is the term used to express the Belgian identity, and Arthur and Natacha -the creative geniuses behind ‘Belge une fois’- have chosen this as their inspiration for their fashion and stationery brand. Hence, the fry shop reference. (Yes, y’all have Belgium to thank for inventing your favorite post binge-drinking greasy heaven: fries). So how was I, with my 90:10 self-loath/love widely disproportioned ratio, to buy such a t-shirt? No way José. But them I remembered that that’s what I disliked about fashion back in the day; how it made me feel small (and I’m already so short) and at the bottom of the food chain. That’s why I took a leap and got the damn shirt. I know most people wouldn’t look too deep into this, but I’m talking to that one kid out there who feels the way I felt on the daily. You’re not alone buddy/bbgirl, and you should buy whatever you feel comfortable wearing. So if you’re reading this, you are ‘Chaud comme une baraque à frites’, and it’s time you let the world know. 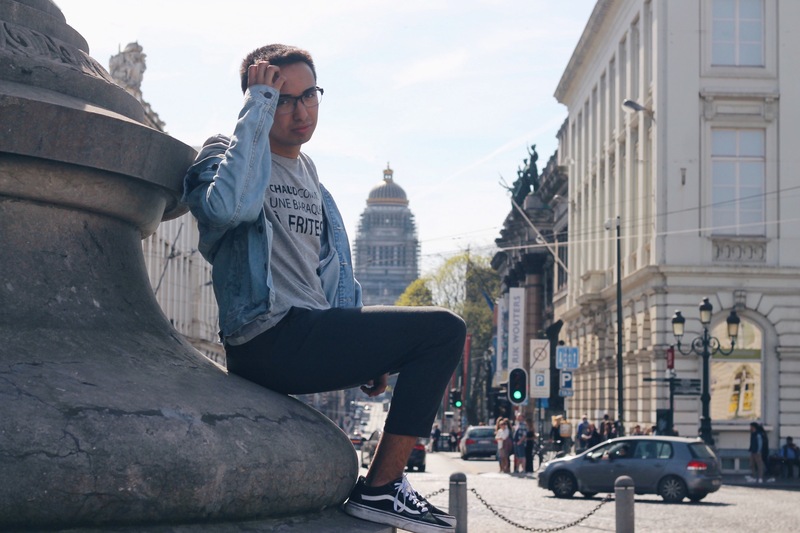 Get your favorite pieces from ‘Belge une fois’ in one of their shops. 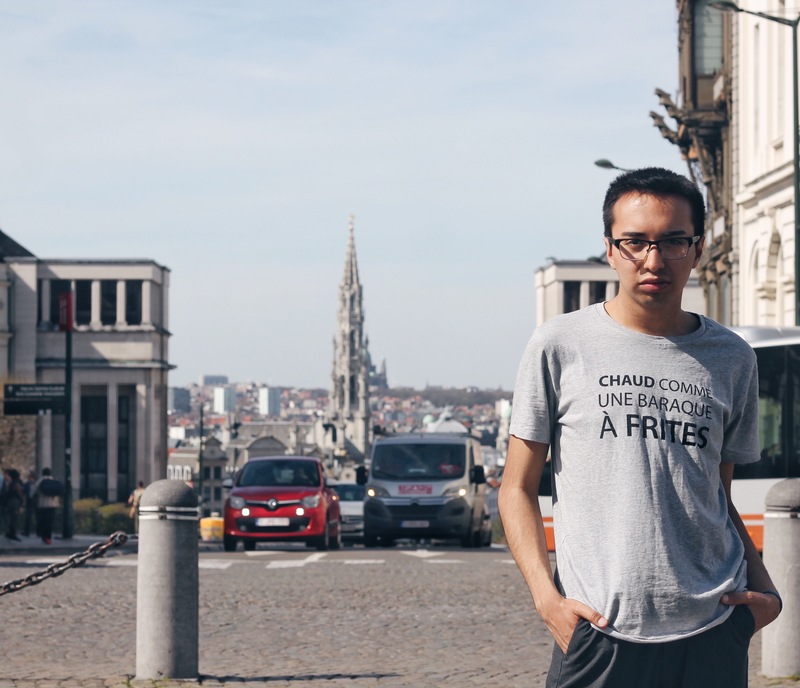 Go to their website (belgeunefois.be) to find out where to get your very own ‘Chaud Comme Une Baraque à Frites’ tee. All this frites talk got me hungry. Guess I know what I’m having for lunch today!